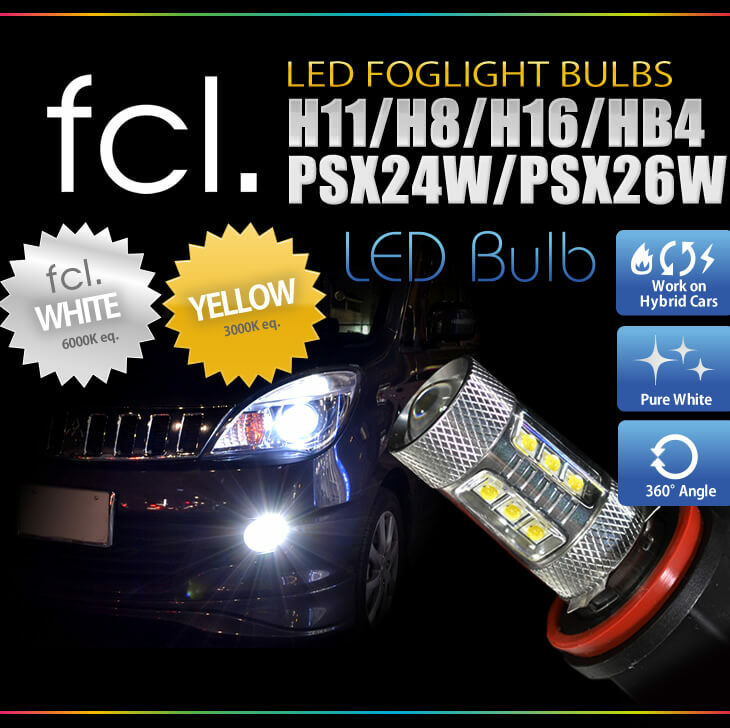 LED FOGLIGHTS(HB4・H8/H11/H16) These bulbs are made specific for fog lights. Do you worry about heat of the lights melting your lights unit? Then these are the perfect for you ! Just Plug and Play Installation! Suitable forH8/H11/H16, PSX24W, PSX26W, HB4(9006) Bulbs.